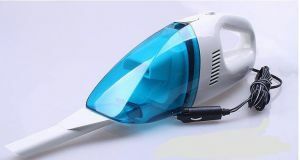 High power, On/Off switch, Super suction power, 12V Extra powerful motor , This vacuum cleaner is of 1.4 m power cord, weight: 467 gm; dimension: 89 mm x 52 mm x 88 mm. It, has high power, on/off switch, super suction power, 12v extra powerful motor and is portable, compact & light weight car vacuum cleaner, super suction power & extra powerful motor. Portable, compact & light weight car vacuum cleaner"